Are you looking for an emergency car key made or car door unlock service in Austin? If you have an auto security issue – you can trust 24 Hour Locksmith Austin, the leading locksmith company in the area. We are available 24 hours a day! Call us at (512) 648-3965 now, it won’t take our nearest locksmith longer than 20 minutes to arrive! There is no auto security issue that our professional, licensed and bonded technicians can’t handle! 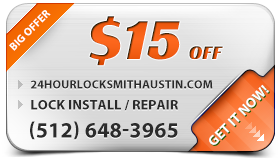 We at 24 Hour Locksmith Austin believe that our customers deserve the best treatment and that’s what we supply! Our rates are the lowest around and our services are always backed up with a 90-day warranty. 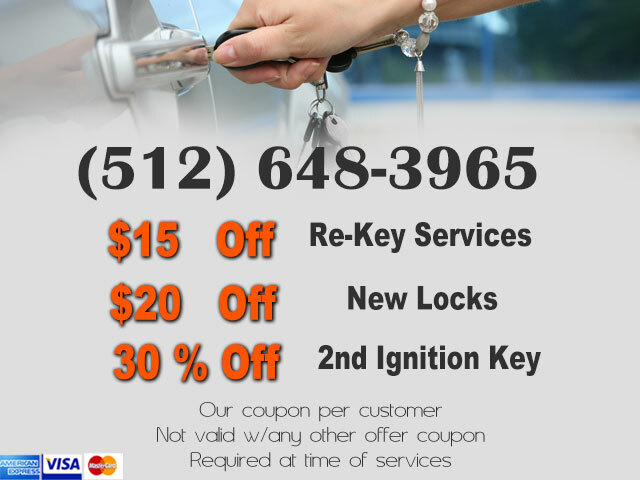 Don’t wait any longer, call us now at (512) 648-3965 for the best auto locksmith service in the metro area! Unlike business owners, who usually call in order to book an appointment that usually takes place at least a few days later, the customers who need a car lockout, a new car key or a broken key extraction service almost always need an emergency treatment and cannot afford waiting for too long. This is the reason why Austin TX Locksmith 24 Hour aims to provide the fastest services possible, whenever a customer calls and asks for a car locksmith service. We consider every single phone call as an emergency call by default and treat all of them accordingly. There is a team of our specialists in every corner of Austin, so you can rest assured that one of our professionals is not far away from you. It will never take our nearest technician more than 20 minutes to reach any address in Austin. Once he arrives, he will examine the problem immediately and you can rest assured that every technician employed by our company knows how to work fast, no matter what type of locksmith he needs to provide. Car owners love to take care of their vehicles and so do our technicians. If you need a car lockout, we guarantee that no harm will be caused to your vehicle when it gets unlocked by our representative. Not a single tiny scratch! You will also be able to get car keys made for any make an model car by our specialists. They have the best key cutting machines and blanks, as well as all the necessary know-how. Your new key will be made within the next hour. Our replacement parts are provided by the best brands as well, so you have nothing to worry about when it comes to the quality of the services that our licensed and bonded professionals provide. You will even get a 90-day guarantee on our service, so call us right now at (512) 648-3965 !